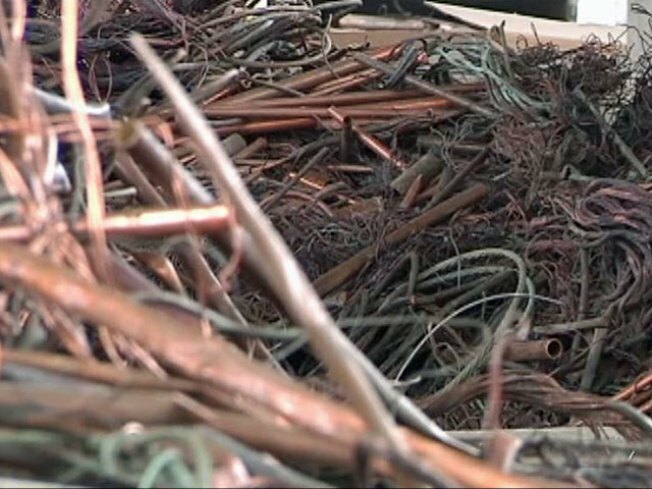 Police in West Haven say they're seeing a spike in copper pipe thefts. Bold burglars are desperate for copper in West Haven, where there have been 10 copper thefts in a month and a half, according to police. One occurred last week at a burned-out, boarded-up house on Blohm Street. It turns out the burglar was so desperate for the copper, he didn’t just cut a water line, but also cut a live natural gas line, putting the whole street in jeopardy. “The gas company was out there for quite some time, a couple of hours, and a firetruck was there,” the woman said. While NBC Connecticut was interviewing the woman, police were called to investigate another break-in just around the corner. It’s the second time criminals have come for the copper in the home that is for sale on Noble Street. The thefts have happened at all hours, but the homes are always vacant, West Haven Police Sgt. Martin Garcia said. That’s why police are asking for the public’s help and want residents to call them immediately if they see someone pulling into the driveway of a vacant home or peering in the windows. “I can do that. I’ll have to tell everybody else, cause this is the first time I’ve heard about it,” said Kevin Bowerman of West Haven. Sgt. Garcia said the thieves are cutting the copper into pieces small enough that they can stuff it into a backpack or duffle bag, and then take it to a scrap yard for cash. “I understand with the economy people are trying to feed their families, but you just can’t go around doing things like that. It’s very dangerous,” said the woman who witnessed a copper theft. Police said they do have several solid leads, but are still asking the public to come forward if they see anything suspicious.